Andoni Zubizarreta is a legend of Spanish football. The Basque goalkeeper played 126 times for Spain, took part in four World Cups and holds the record for LaLiga appearances (622). In 1990 he represented Spain at Italia 90, where they were one of the favourites to win the tournament. During the group stage, 'Zubi' was involved in a curious situation. Spain were playing Uruguay in a game that would end up 0-0. The Spanish goalkeeper would participate wearing shorts from a non-official brand, without any badge or number. This resulted in complaints from some fans, who accused him of refusing to wear Spanish colours. He would quickly dispel this theory, explaining that Spain's official kit provider Le Coq Sportif had not provided him with shorts in his size. He eventually bought a pair in Udine, where the squad had been staying, and only had time to cover the Diadora badge. Zubi would revert to official kit for the next game at the 1990 World Cup. 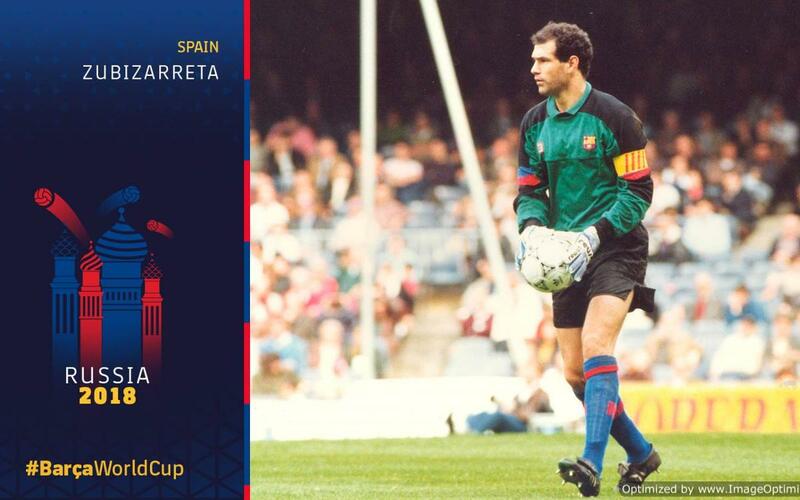 Zubi remained at Barça for many years, and was the goalkeeper for the famous 'Dream Team.' He left for Valencia in 1994, and retired in 1998. He would return to FC Barcelona in 2010 for a four-year spell as Sporting Director.